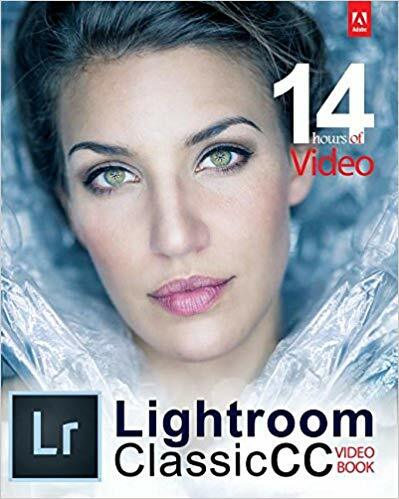 Adobe Lightroom is a fantastic and popular software tool for photographers. It’s also very in-depth and has many things to learn including editing tricks. To fully understand the software on your own might take a month or two but with a book, you’ll be using the software like a pro in a matter of a week. So to help you find the best books, we went ahead and compiled this list here for you. Some of our personal favorites from the team at NUUGraphics. If you have any other books to recommend, then please leave a comment stating the book! We would love to hear. From the Lightroom queen herself, Victoria Bampton. Victoria runs a very popular blog called Lightroom Queen that’s been around for years. You can trust that she knows what she is talking about. 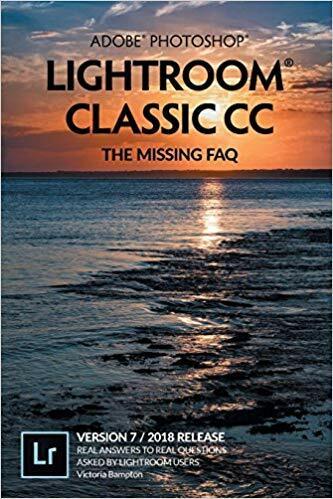 Her book, Lightroom Classic CC: The Missing FAQ, is dedicated to all the questions you may have regarding Lightroom asked by real Lightroom users. You’ll learn how to import photos (and videos), finding and filtering your photos, adding metadata, exporting, troubleshooting, and much more. It’s truly packed full of content. A great book for getting started with the software as a beginner. However, if you are looking for a book teaching you how to edit, it may not be what you’re looking for. Read below for alternatives to that. A book by photographer Scott Kelby. An award-winning author of more than 60 books. I guess you could say he really knows his stuff to have over 60 award-winning books to his name and this one is no different. Over 289 reviews with an average rating of 4.5, it stands as the most popular on this list. 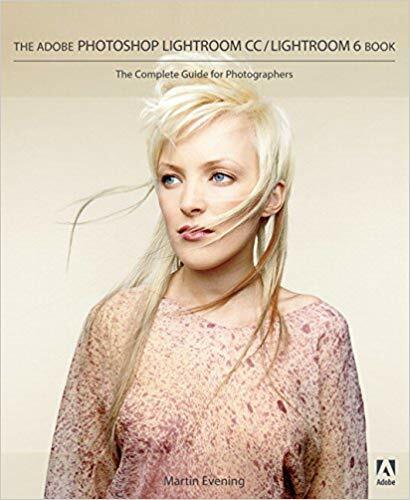 In the book, you will be able to learn more about editing your photos rather than the interface and software specific things like in Victoria’s book above. For example, Adding a punch to your photos using clarity, making colors more vibrant, fixing skies with local adjustments, retouching portraits… the list goes on. The only downside (or upside) is that it’s written for MAC users first and PC users second. If you are a MAC user then I guess this would be a good thing, but you’ve been warned if you are a PC user. 3) How Do I Do That In Lightroom? : The Quickest Ways to Do the Things You Want to Do, Right Now! 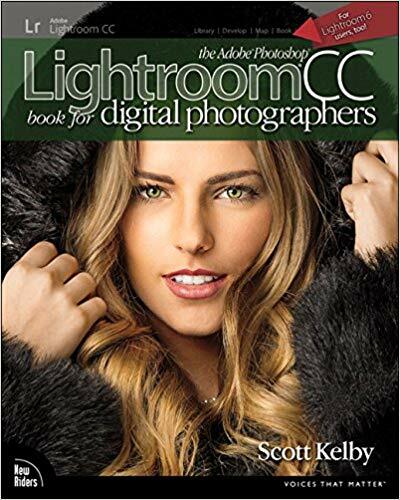 Another book by Scott Kelby, and another popular one. This one answers many of the questions you may have regarding doing specific things in Lightroom. If you’ve wondered “How do I do that?” then this book will surely answer it. You’ll learn things like importing your images into Lightroom, organizing your photos, customizing Lightroom itself, editing, using Lightroom brushes, exporting and more. Recommended to buy this one along with his other book as it covers some things it doesn’t. The book has over 222 reviews with an average rating of 4.5. Another fantastic addition to your studies. This book by Martin Evening is not much unlike the first in this list. Although it’s aimed at someone who may have not even bought Lightroom yet. For that reason, it teaches more basic things such as an entire introduction to Lightroom. With topics such as installing Lightroom, what kind of computer you may need, and a brief overview of what the software even is. Even so, it does contain other topics such as importing your photos, creating catalogs, basic editing tips like sharpening and noise reduction, cropping, and once again exporting of your photos. A decent alternative to the Adobe Classic CC: The Missing FAQ book. The last book on our list contains over 14 hours of accompanying video in addition to the over 250 pages of text. If you are a more visual learner then this one would be highly recommended. The author, Tony Northrup, will teach you how to find any photo in your catalog, add pop to your photos, retouch your portraits, make prints, fix common photography problems and more. He’ll even teach you how to edit your home videos if that interests you. Could be a bit much for beginners to take in so keep that in mind. 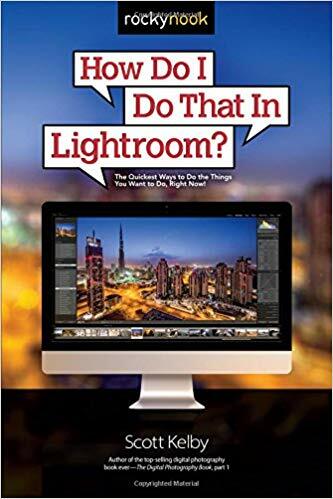 As you can see, there are plenty of great options for books on Lightroom. There may be more out there, but these are considered the best. These will take you from beginner to absolute master in no time. If you would like, we also have plenty of free tutorials for Lightroom here on our website. Once again, if you have any recommendations on a book that you think may be better, let us know! And if you have read any of these, then let’s hear what you thought about it.